Get the ultimate cover for your Ford 8.8 with this Billet Differential Cover from UPR. CNC Machined from 6061 for making it the strongest rear end girdle on the market. 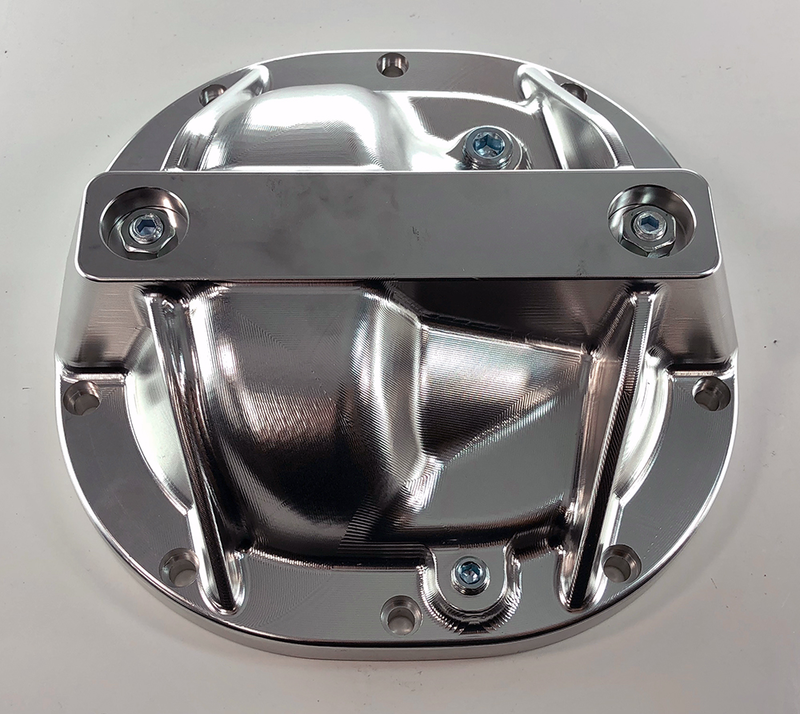 Most rear end covers are cast from aluminum and machined, this cover starts as a large chunk of billet aluminum and is CNC machined inside and out. Cast aluminum can have imperfections or defects in the metal making them not as strong as a Billet block does giving you a much stronger part. Great for Drag & Road Race Applications, but most of all our Girdle is for the everyday street drivers that want the most reliability without compromise. Installs in approximately 1 hour with supplied hardware. 1979 1980 1981 1982 1983 1984 1985 1986 1987 1988 1989 1990 1991 1992 1993 1994 1995 1996 1997 1998 1999 2000 2001 2002 2003 2004 2005 2006 2007 2008 2009 2010 2011 2012 2013 2014 4.6L 5.0L 5.4L 3.7L 3.8L GT GT500 V8 Mustang Steeda Roush & Saleen Vehicles. 1993 1994 1995 1996 1997 1998 Cobra 1989 1990 1991 1992 1993 1994 1995 1996 1997 Ford Aerostar 4.0L. 1983 1984 1985 1986 1987 1988 1989 1990 1991 1992 1993 1994 1995 1996 Ford Bronco. 1986 Mercury Capri 1987 1988 1989 1990 1991 1992 1993 1994 1995 1996 1997 1998 1999 2000 2001 2002 2003 2004 2005 2006 2007 2008 2009 2010 Ford E150 E-150 Van. 1990 1991 1992 1993 1994 1995 1996 1997 1998 1999 2000 2001 2002 2003 2004 2005 2006 2007 2008 2009 2010 Ford Explorer. 1983 1984 1985 1986 1987 1988 1989 1990 1991 1992 1993 1994 1995 1996 1997 1998 1999 2000 2001 2002 2003 2004 2005 2006 2007 2008 2009 2010 Ford F-150 F150 Trucks. 2002 2003 Mercury Maruader. 1987 1988 Ford Thunderbird. 1990 1991 1992 1993 1994 1995 1996 1997 1998 1999 2000 2001 2002 2003 2004 2005 2006 2007 2008 2009 2010 Ford Ranger 4.0L. No one else can stack up to the bold clean styling of our aftermarket Billet dress ups, Street Strip & Racing Suspension & Performance Parts for your late model American Muscle Car!